The language of poetry and art is the only way to express certain aspects of our experience of reality in subtle and complex ways. Gerard Frances has had several gallery and museum exhibitions, including at the Los Angeles Center For Digital Art. The Los Angeles Center for Digital Art is located in the area known as gallery row. The center focuses on digital art in the contemporary area. Dedicated to spreading photography, new media, video, and interactive media, the center encapsulates the forward-thinking blend of using science to create art. This hybrid is the basis of photography itself. 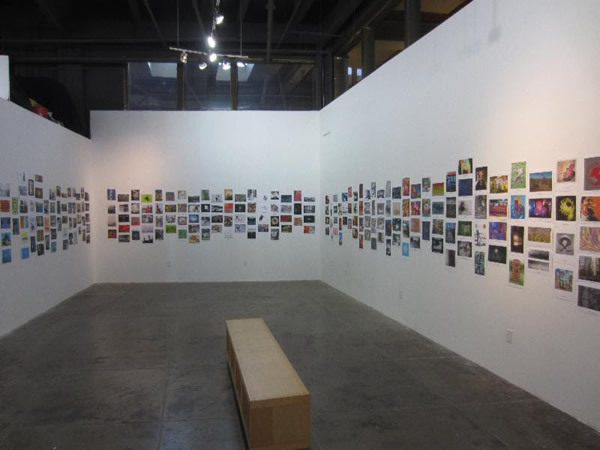 The center has an ongoing array of exhibits in the gallery and is known to include international works. However the space is also dedicated to supporting the local community art scene by giving exposure to Los Angeles area artists. Outside of the LACDA space, they are involved with curating digital exhibits at institutions and festivals. Tokyo International Foto Awards, founded in 2016, commends and promotes outstanding photography from all corners of the globe. TIFA connects photographers with the creative community in Tokyo, Japan, to provide them with an excellent platform to present their work to a new market. In its inaugural year, TIFA was exhibited in Shibuya Cultural Center, the heart of the Tokyo art community, and the prestigious Tokyo Metropolitan Theatre. TIFA promotes the winners works all year round through its website, social media, press, and local photography communities. This special volume 1 edition of 101 Contemporary Artists features 101 of the most exciting artists from around the World. Curator Terrence Sanders has complied a survey of emerging and mid-career artists of the 21st century. Ce volume spécial 1 édition de 101 artistes contemporains présente 101 des artistes les plus excitants du monde entier. Le conservateur Terrence Sanders a réalisé un sondage auprès des artistes émergents et en milieu de carrière du 21e siècle. 101 Contemporary Artists Volume 2 présente la prochaine vague d'artistes visuels qui devrait être sur votre radar. Notre objectif est de présenter des artistes de mérite, peu importe leur sexe, leur race, leur âge ou leur religion. Leurs contributions respectives au paysage de l'art contemporain sont les seuls critères. La majorité des artistes que vous découvrez dans ce livre sont soit émergents, mi-carrière ou matures. Le tissu conjonctif est que tout art est pertinent et toutes les voix méritent. Organisé par des artistes renommés et éditeur Terrence Sanders. Timeless fragments: chromatic vibrations between water and earth– whose title is borrowed from fragments and archaeological finds in the city of Brindisi, the venue of the event – is a FESTIVAL of Visual, Sound and Performing Arts, that wants to make sense of detail in its uniqueness, recalling the places of “universal synergies” and the relationship between “identity and territory”. About 60 national and international artists have been invited to dialogue with the city and the space that hosts them. The Festival – promoted by Primo Piano LivinGallery and curated by Dores Sacquegna– has as institutional partner the Municipality of Brindisi, and as a cultural partner the Cact Center of Arts, Culture and Tourism, Department of the Atlantic Museum of the Island of Lanzarote in Spain. Artists from all over the world show thier works and projects: From Europe, Asia, Middle East, Russia, USA, in synergy dialogue with the Puglia’s Region. L'IPA est fière d'annoncer les gagnants de son Concours international de photographies 2017. Plus de 12 000 entrées de 115 pays à travers le monde ont été soumises dans une autre année remarquable pour ce qui est devenu l'un des concours de photographies les plus prestigieux et reconnus au monde. International Photography Awards 2016 Competition Winners Announced! International Photography Awards 2015 Competition Winners Announced! There is a griffin in the sky in a lake in the mountain. The camera is an eye in the creature that is looking for its master. in Chelsea on October 8-11, 2014.
the 2014 International Art Competition! SEE ARTIST of the WEEK 8 selections. Wednesday, August 14, from 6pm to 9pm. DIGITAL ARTS: CALIFORNIA is a division of ART AND DESIGN INITIATIVE, whose goal it is to promote the appreciation of art, photography, and design, and to recognize the work of exceptional artists, photographers, and designers worldwide. exceptional artists from 27 countries. Gerard Frances was awarded in the International Photography Awards Competition. International Photography Awards (IPA) has announced the winners of 2012's competition. Gerard Frances was Awarded: Honorable Mention PRO in Special - Other category for the winning entry "Variation Lake ." Honorable mention gallery professional . Sixty works by outstanding artists from around the world, selected by a jury of art world professionals in a competition co-sponsored by the Museum of Russian Art and Fine Art Magazine, will be available for sale. Works include paintings, graphic and photography. Materia viva . galleria Aripa di Torino . 2011 . Artkudos.com . 2009 / online exhibition . au profit de manifestations caritatives organisées à Paris . Aspects ,with a tendency to abstract . My tool is the chinese brush and my canvas is the paper . Art is the expression of all cultures . Color and b/w digital photos, color and b/w digital elaborations, works created on the computer. This photo with "hypersaturation" is part of a technique issued from the digital camera. Hypersaturation creates abstraction and hides the underlying reality of the orginal photo creating in turn curiosity . LA CULTURE EST EN CHINE DE L' ORDRE DE LA NATURE ; LES NERVURES QUI SE DISENT WEN EN CHINOIS. WEN DESIGNE LES VEINES DANS LE BOIS OU DANS LA PIERRE. L'ETYMOLOGIE DE CULTURE EST PRECISEMENT WEN LA MARBRURE. C EST POURQUOI LA CULTURE WEN EST CONSIDERE COMME UNE MANIFESTATION DE LA NATURE DU MOUVEMENTS DU MONDE EN PERPETUELLE MUTATION TEL QUE LES CHINOIS LE CONCOIVENT . CE QU' ILS APPELLENT CULTURE, C' EST CETTE VEINE MARQUANT LE PASSAGE DE L'INDETERMINE AU DETERMINE. C' EST A DIRE LES MUTATIONS ISSUE DU DAO. LE DAO PRODUIT LE UN ET LE UN DONNE NAISSANCE AU DEUX : LE YIN ET LE YANG SONT ISSUS DU CHAOS ORIGINAL. LES INTERACTIONS ENTRE YIN ET YANG PRODUISENT LES EXISTANTS : ROCHERS, NUAGES, MONTAGNES, CONSTELLATIONS. DE MEME PAR ANALOGIE LA PAIRE PINCEAU - YANG ET L ENCRE - YIN , CREENT SUR LE PAPIER DES FORMES DONT LA VALEUR EXISTENTIELLE EST TOUT AUSSI EFFICACE QUE CELLE DES EXISTANTS DE LA NATURE. C' EST LE LINGQI - SOUFFLES ANIMES. POUR REVENIR A MES RECHERCHES, JE DIRAIS QUE LA DUALITE CHINOISE YIN YANG EST ABANDONNEE AU PROFIT D' UNE TRILOGIE : HUILE - ENCRE - EAU . EN EFFET L'HUILE ENTRE EN OPPOSITION AVEC L'ENCRE PENDANT QUE L EAU SERT DE MEDIATEUR ( MELANGE DES TROIS LIQUIDES SUR LE PINCEAU ). C'EST A DIRE QUE L ' APPORT D'EAU SUR LE PINCEAU AUGMENTE L' OPPOSITION AVEC L' HUILE TOUT EN ECLAIRANT LA TONALITE DE L ENCRE. CE CONFLIT REGULÉ PAR LE CHOIX DES LIQUIDES (PRESSION ET VITESSE DU PINCEAU) FAIT APPARAITRE SUR LA FEUILLE UN LAVIS OU LES RIDES ET LES VALEURS NAISSENT DANS LE MEME TEMPS. LA COULEUR N'A PLUS A ETRE LIMITEE PAR LE TRAIT PUISQU' ELLE EST ELLE MEME CONSTRUITE SUR LA LIMITE DES OPPOSITIONS DES DEUX LIQUIDES. LA COULEUR -LAVIS DEVIENT A CE TITRE LE SUPPORT IDEAL POUR RENDRE COMPTE DU CARACTERE A LA FOIS FRAGMENTAIRE ET HOMOGENE DU MONDE VISIBLE. UN LAVIS FAIT DE STRATES ET DE PLIS ANIMÉ ET PROFOND, DOTÉ D'UN RELIEF QUE SOULIGNE CHAQUE POIL DU PINCEAU . LA TRACE JOUE UN ROLE CAPITAL DANS L'ACTIVITE ARTISTIQUE.